The Resilient Fisheries RI project's backstory has been adaptive and evolutionary. 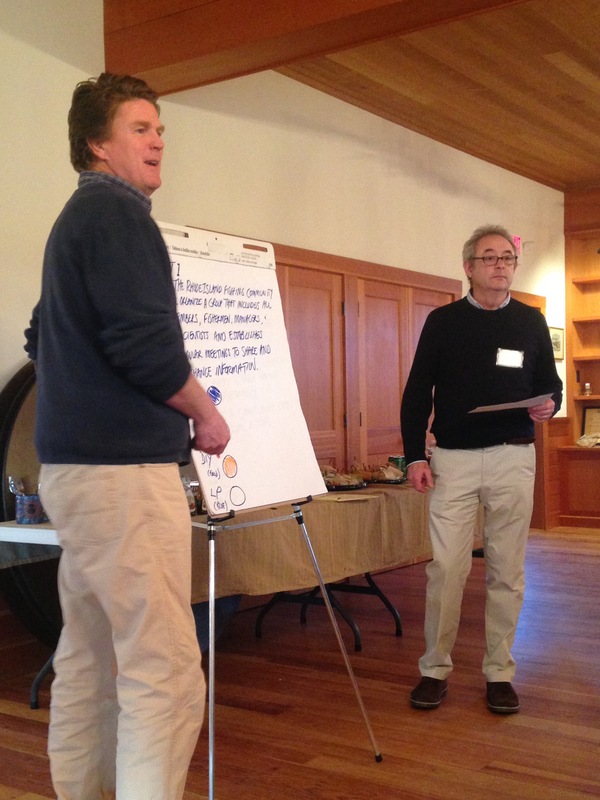 The story began in late 2015, when a dozen Rhode Island fishermen received a NOAA Saltonstall Kennedy grant to complete a one-time, short-term project using social learning and network building to engage their peers in thinking collectively about a single issue: environmental change. But maintaining a singular focus soon became impossible, as the conversations engendered by the project began to reveal many other sources of change and uncertainty facing the fishing industry. As the project progressed, it became apparent that the first order of business was to build a broad, general, and consensus-based foundation - one that could later be built on with theme-specific additions. This evolution from a single-issue project into a general resilience planning process was a testament to the passion, thoughtfulness, and dedication of project participants - not just the coordinating team, but everyone who sat down for a conversation, attended a workshop, or utilized the project list-serv to generate dialogue among their peers. The result - a Blueprint for Resilience - bears the fingerprints of 125 fishing industry participants whose involvement made it both robust and responsive. The Resilient Fisheries RI project began with 48 one-on-one interviews, conducted between January and August, 2016. These interviews gathered perspectives on challenges and opportunities associated with environmental change, adaptive strategies, and general fisheries resilience from a broad spectrum of fishery participants. A summary can be found in the report "Phase I. 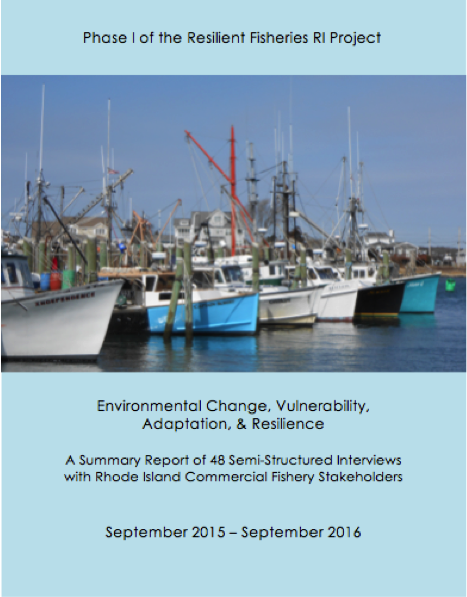 Environmental Change, Vulnerability, Adaptation, & Resilience: A Summary Report of 48 Semi-Structured Interviews with Rhode Island Commercial Fishery Stakeholders." 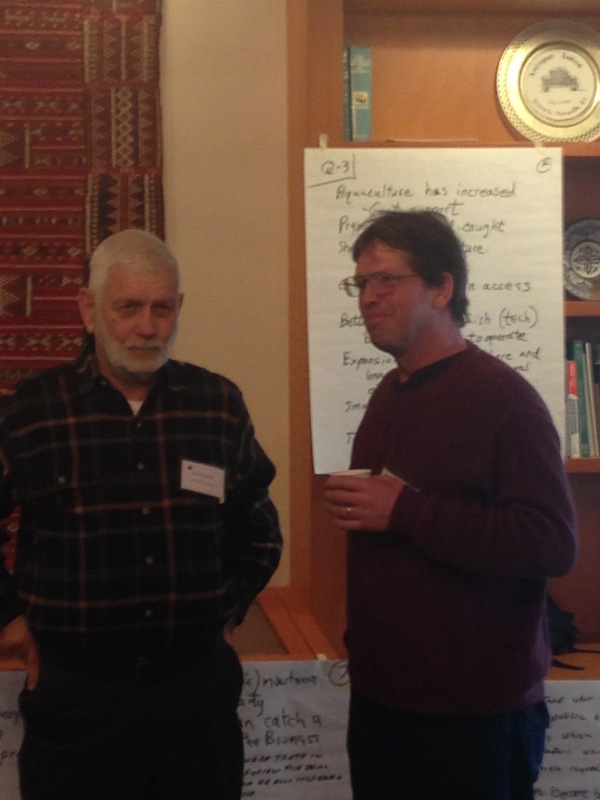 Between December 2016-February 2017, the Resilient Fisheries RI project hosted 10 evening seminars about specific topics of interest identified through the interviews: environmental change and fisheries management; ocean and coastal acidification; ecosystem change and cumulative stressors in Narragansett Bay; generational renewal in Rhode Island fisheries; changes in the seaweed community; squid in a variable climate; fishing community vulnerability and resilience; pros and cons of specialization versus diversity in fisheries access; and the expansion of the black sea bass resource. 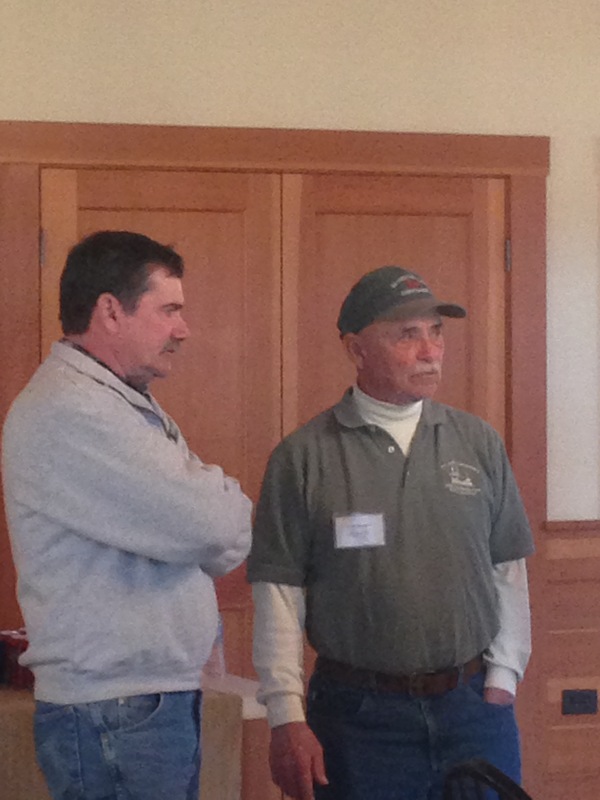 Workshops were open to all members of the Rhode Island fishing industry and were hosted at points around the state. Many workshops included a guest presenter from the scientific world. A summary of all ten workshops can be found in "Phase II. 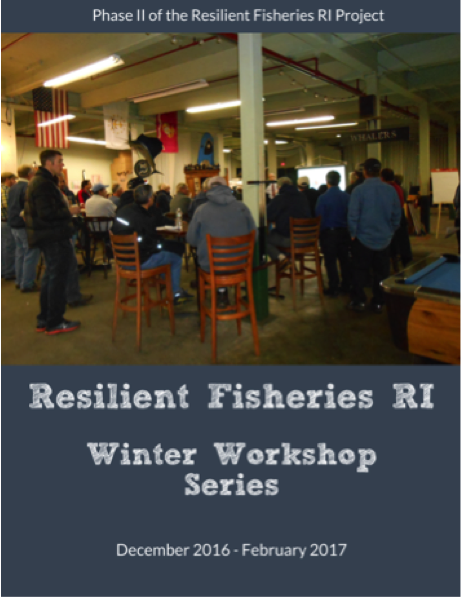 Resilient Fisheries RI Winter Workshop Series, December 2016 - February 2017." 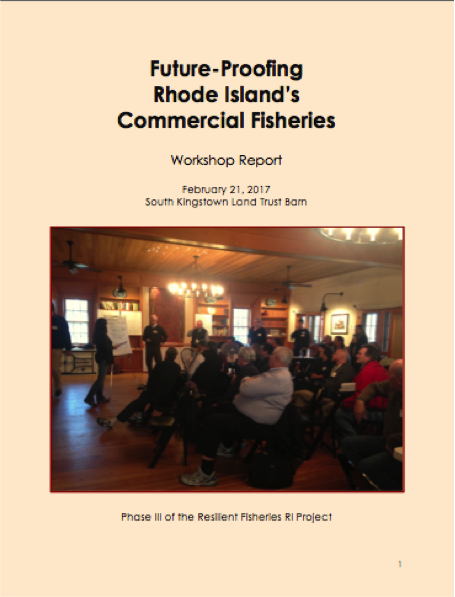 To cap off the initial process, the Resilient Fisheries RI project hosted a daylong scenarios planning process, facilitated by the Futures Strategy Group. 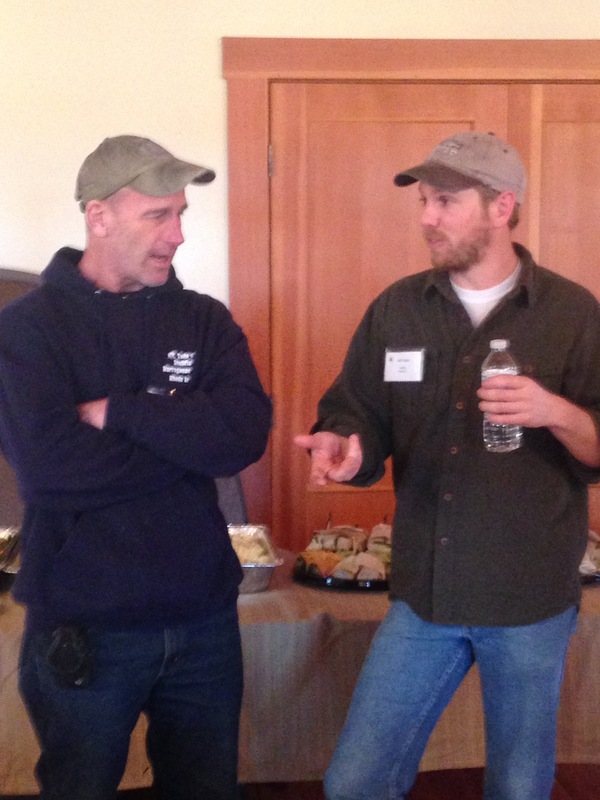 Forty-five members of the Rhode Island fishing industry showed up to take part in the event, which took place at the South Kingstown Land Trust Barn on February 21, 2017. Scenario planning is a practice designed to engage groups in thinking outside the box about what the future might bring, and how to make the best of it. This intensive process served to bring all of the pieces from the 48 interviews and 10 evening seminars into a coherent, realistic whole, and to nurture creativity and innovation for thinking about how the future might unfold. A summary of the scenarios process can be found in "Phase III. 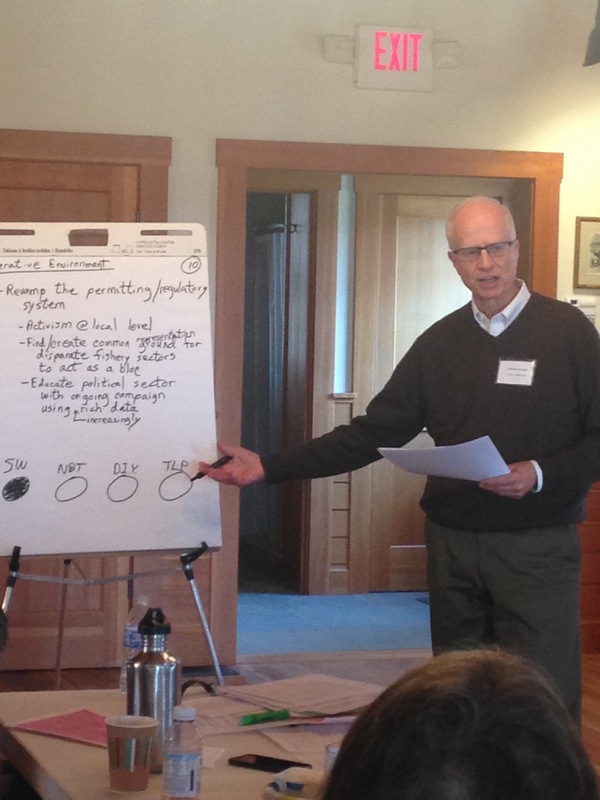 Future-Proofing Rhode Island’s Commercial Fisheries: Workshop Report." The network of fishery participants and the spirit of collaboration that coalesced during the initial Resilient Fisheries RI project need not end with the publication of the Blueprint for Resilience. In fact, as development turns to implementation, these practices will become more important than ever. As the original project coordinator and oversight team retire from their roles as network ringleaders, new issue entrepreneurs are encouraged to step up to reenergize the network and provide new opportunities for collaboration. This network belongs to the entire Rhode Island fishing industry. If you are an industry member interested in engaging in the network for the first time, you may enroll in the List-Serv and/or contact ResilientFisheriesRI@gmail.com for an orientation.